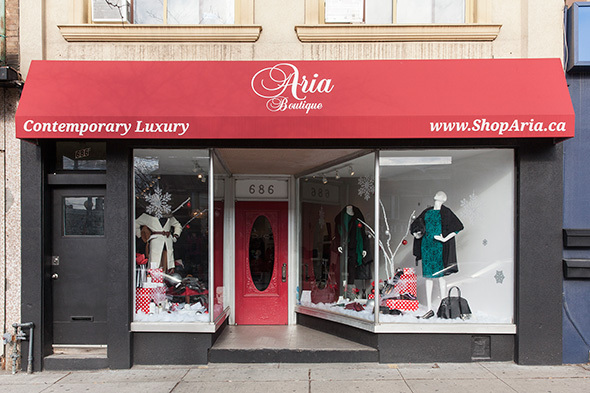 Aria Boutique is a jet-setter's closet, writ large. 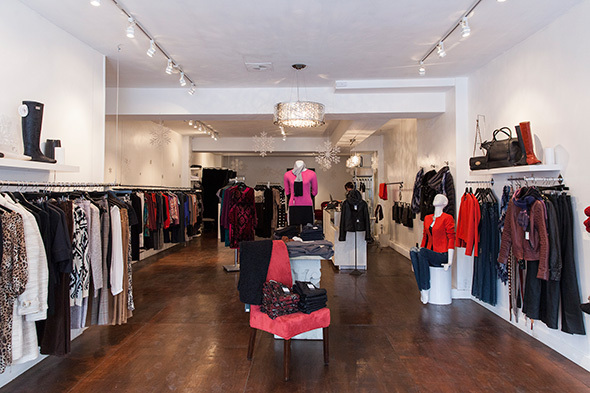 This brand-new Little Italy boutique specializes in classic-with-a-twist European style filtered through a Canadian lens, featuring tons of luxurious pieces and refined closet staples. Owner Tammy Beltrami's road to College St. was long and winding. 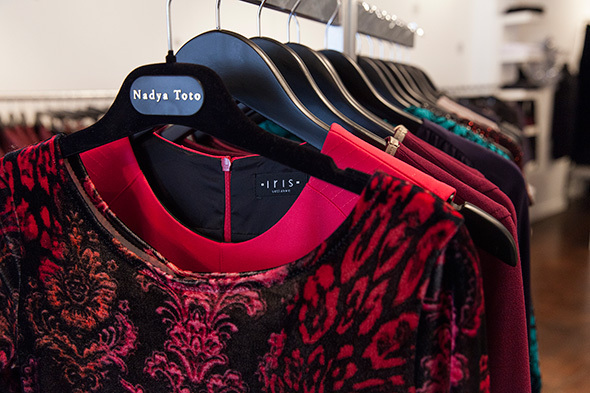 After attending fashion school in L.A., she opened a beachwear store in Kitsilano in the mid '80s; eventually the acting bug took her to northern Italy and London, which helped cultivate her taste for a more European-inspired style. Eventually, she ended up in Regina, working in the then-booming film industry. "There was nothing in Saskatchewan, really," she said. "You had to get on a plane to go get a T-shirt. "So I just decided, I'm gonna open up the store that I would like to go to. Instead of having to know where all these places were, you could go to one store and pretty much get everything you needed." The first Aria, which opened in Regina in 2005, was that 'one-stop shop', built around Beltrami's Euro-inspired aesthetic. "The Saskatchewan store, when it opened, when I took down the paper off the windows, women were screaming." Tax cuts to the province's film industry forced Beltrami and her husband, who also works in film, to head east earlier this year. 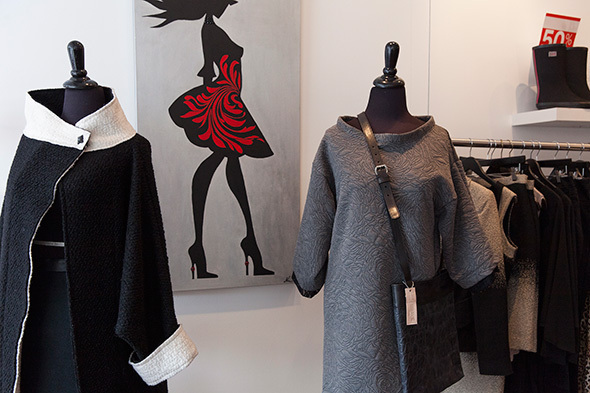 (The Regina store is still going strong, and Aria also has an online outpost that sells to fashion fans all over the world). 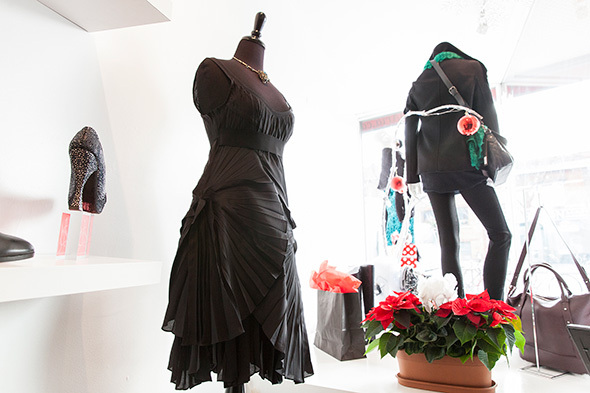 The Toronto location opened in July 2013; the space, formerly home to a dollar store, is now stocked with Canadian clothing lines that are established enough to reliably produce beautiful, wearable designs, but obscure enough that shoppers feel like they're discovering something new. "People come in, and they're like 'Oh, I don't know these brands' -- which is my goal," Beltrami says. "I only buy if I love it. Basically, it's a store full of selfish buys that I really hope to share." 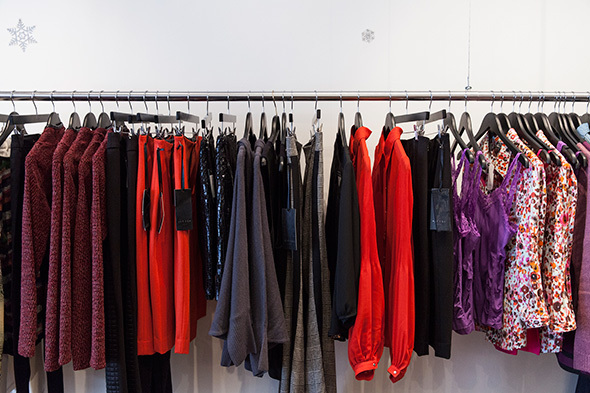 Staple lines include Mackage , Collection Iris , and Nadya Toto , with the latter commanding a strong following despite the relatively high price tag ("Women come in and they buy three at a time"). In addition to her existing collections (with most pieces clocking in at about $250-$300), Beltrami curates an in-house line of clothing, AriaB, meant to complement those pieces at a lower price point. Highlights from the store's accessory selection ($50 and up) include sleek dav rainboots (Toronto's walking-city status means they sell way quicker here than in Regina -- who knew?) and Mary Rich 's line of splatter-print clutches. "I saw someone that had one and they were like 'Oh, my friend just makes these, she doesn't have an agent or anything.' I said, 'Well, I have to have one'." 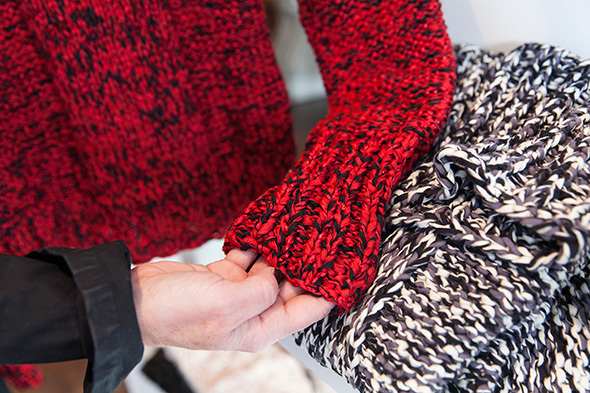 Whether it's brand-new designers or established veterans, Beltrami limits Aria's stock to vendors and designers she connects with and believes in. "It will transfer when you're selling it, when you're talking to people about the line. It comes out. It's the actor in me, right? You have to live truthfully."